The interesting and stunning diversity of Mexico’s 32 states are truly diverse for your next long haul meeting or incentive, together or even alone, are charming options to enjoy the legends and flavors of this Country. Each one has countless tourist destinations offering a wide array of activities, tasteful gastronomy, and pleasant weather along with the traditions, folklore, culture and the friendliness of its people. In honour of this occasion Uniqueworld and the Mexico DMC are going to show you the top reasons why you have to visit Mexico and see its wonderful features. Starting with the southeastern part of the country, framed by the Yucatan Peninsula, this area is the gateway to the Mayan world and the white-sand beach resorts and turquoise waters of the Caribbean Sea, home of the largest coral reef in the Americas. Mayan Legacy, Great Eco-Parks, Underwater Adventure, and Fun Water Sports are some of the region’s characteristics. In the west, at the Pacific Destinations Los Cabos, Puerto Vallarta, Ixtapa and Acapulco are located the cities and towns with rich cultural and culinary traditions, some of the best beaches for water sports, like surfing and fishing, the underwater treasures of the Sea of Cortez, the most fascinating sunsets of the Country and also the chances to be witnesses of the amazing migration of the Gray Whales. Deserts, nature reserves and rugged mountain ranges the northern parts of the Country, are ideal for ecotourism outings and exciting outdoor adventures. Outshining from other northern cities is Guadalajara, a place which almost half of the foreigners consider THE typical Mexico, because several Mexican products came into existence here like the Mariachis (traditional Mexican musicians), the tequila, crafts, la charrería (Mexican rodeo), and the ‘jarabe tapatío’ (dance). Looking briefly into the past, Mexico was home to some of the world’s great ancient civilizations. The Olmecs, Zapotecs, Mayas and Aztecs left their imprint on the land. Visiting their cities and temples fills the visitor with wonder at these ancient cultures. These civilizations had many traits in common, such as: a writing system; a calendar; a ballgame; the custom of building temples on “pyramids” or platforms and agriculture (cultivating mainly corn, beans and squash). Ancient cultures and their traditions and customs are perfect inspirations to develop customized theme parties at any of Mexico touristy destinations. In regards to weather, Mexico is also a gifted Country as enjoys mostly warm temperatures all year round; the Country is divided by the Tropic of Cancer into moderate and tropical zones. Mexico’s weather initiates from the East and South in summer and from the North and West in winter. At the North experiences cooler temperatures during the winter months but never as extreme as in US or Canada. In the South, temperatures are fairly constant year round. In general the hottest and wettest season is from May to October. Not to forget the Mexican food: Mexican cuisine is known for its intense and varied flavors, colorful decoration, and variety of spices. Most of today’s Mexican food is based on pre-Hispanic traditions from the Aztecs and Maya, mixed with culinary trends introduced by Spanish colonists. The conquistadores eventually combined their imported diet of rice, beef, pork, chicken, wine, garlic and onions with the native pre-Columbian food, including chocolate, maize, tomato, vanilla, avocado, papaya, pineapple, chile pepper, beans, squash, sweet potato, peanut and turkey. Today, the most internationally recognized dishes include tacos, quesadillas and enchiladas. Mexicans are well-known for being warm and friendly with foreign people. You will find this is true since the first moment you arrive to Mexico. The people’s warming hospitality is one of the reasons why many tourists feel comfortable and decide to return to the country. “Mi Casa es tu Casa”…which means, “My Home is your Home”. Located south of the Border, Mexico is perceived as a ‘Domestic Destination’ for US and Canada; additionally we keep similar daylight saving time patterns, making jet lags almost inexistent. Most of the International Airlines are serving throughout Mexico and proximity makes available excellent flight connections and short flying times.Great International Hotel Brands with installations reaching from luxury hotels to simple beachfront cabanas in all Mexico Destinations offer a wide variety of world class hotels to meet the budget of individual travelers as well as group programs. Additionally you’ll find State-of-the-art meeting facilities offered by Convention Centers located in several Mexico destinations as well as at many hotels, specially the ones oriented to group business. Mexican Government is also providing a special support to Tourism Development through fiscal opportunities for private investors improving communication, airport and highway facilities. To mention, English is widely spoken in Mexico country and a requirement for serving within the tourism industry. The quality and the number of activities available to travelers visiting México is almost as diverse as the landscape of the Country. Regardless of your Destination you will always find water sports, golf courses, fishing, horseback riding, dolphin activities, fashionable or typical shopping, great dining, fun cruises, whale watching, ATVs, archaeological sites, etc. Each destination however, according to its natural characteristic may be stronger or more specialized in certain areas. With all of the above mentioned, Mexico has an outstanding place in the world’s tourism industry, being always within the top tourism ranking, Mexico is a unique multi-destination concept in only one Country! 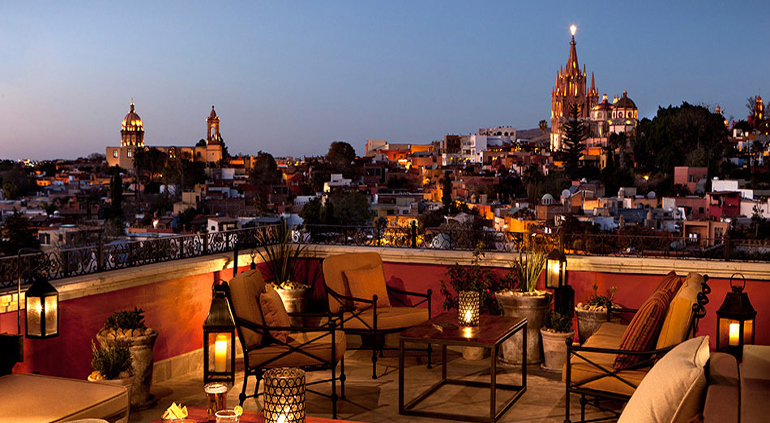 Are you interested in Mexico and its wonderful features? Would you like to receive more information about travelling to Mexico in general, than please contact us and we will be happy to help you and put you in touch with our DMC in Mexico.